It’s hard to believe Virtual Reality has been around since 1968 and has gone through many booms and busts as technology advanced over the last 50 years. What was once massively expensive and questionably usable is now reaching maturity. In its latest incarnation we’ve seen it become a market viable technology with affordable and effective headsets available worldwide. This has caused a surge of interest as companies across all industries see the potential for VR to better their operations, training, marketing and sales. However, there are many different VR solutions available on the market now, each of which have their own best use cases – so what are the options and how do you know which is best for your company? In this article we will discuss all the various types of VR technology available on the market, how they work, and the best use cases we’ve found for each in our experience over the years as an award-winning VR development studio. What are all the different types of VR? 3 Degrees of Freedom – refers to the capability of the VR hardware to track your head movements in the virtual space; in this case it allows the user to look up, down, left and right in a full 360 degrees. This is common for mobile VR headsets and those that do not have sensors, like the GearVR and Oculus Go. You can imagine it as your virtual head being able to look all around the virtual space but not physically move around in it. For example, if I were standing up wearing a 3 Degrees of Freedom VR headset and then physically crouched down to the floor, I would not see the virtual floor come closer to my head – it would appear as if I were still at standing height in the virtual space even though I am crouched down in reality. This is because my virtual head is fixed in the virtual space and the headset cannot tell when my actual head is moving around in the real world because it lacks sensors. 6 Degrees of Freedom– refers to the capability of the VR hardware to track your head movements in the virtual space; in this case it allows the user to look up, down, left and right as well as physically move forwards, backwards, side to side, up and down. This requires sensors, either mounted externally in the room or on the headset itself, that allows the VR simulation to track the user’s physical movements and translate them into the virtual world. To use the same example of crouching, if I were to physically crouch down to the floor wearing a 6 degrees of freedom VR headset, I would in fact see the virtual floor come closer to my head. Same if I were to physically walk forwards and jump. It would look as if I was doing so in the virtual world as well. Headtracking – refers to a 6 degrees of freedom head set because it can track the physical movement of your head in realtime. 3 degrees of freedom headsets lack headtracking. This is a common way you will hear these concepts expressed. Realtime vs. Pre-Rendered – refers to whether or not a computer is rendering a virtual scene as it is happening allowing for user interactivity, like a videogame, or has already rendered the scene and simply playing it back, like a movie. Realtime virtual environments are always generated by 3D graphics, whereas Pre-Rendered virtual environments can be 3D graphics or 360 Video. Framerate – refers to how many virtual frames per second (fps) are being rendered in the headset. The more frames per second, the smoother the experience appears to the user. It’s common for pre-rendered experiences to be rendered at 60 fps, however it is suggested and industry standard for realtime experiences to be 90 fps for optimum user comfort. Low or inconsistent framerates is what can cause people to feel motion sickness in VR, which is clearly not a desired outcome. We make sure all of our VR experiences are overly optimized for user comfort. It’s very important. 360 Video – refers to real-world video footage that has been captured by special cameras pointing in all directions. This footage is then stitched together to create a full 360 video, meaning as the video plays the viewer can physically look and see in all directions. Imagine it as if you were in a movie theater and all of a sudden the screen expanded all around you. 360 videos lack headtracking by nature because the camera position dictates where your virtual perspective will be set. So even though you can look around in all directions, you cannot walk around freely in a 360 video. Roomscale VR – refers to a 6 Degrees of Freedom VR experience that allows you to physically move around a room area in Realtime that has been set up for VR use. This is commonly seen with Oculus Rift and HTC Vive VR hardware setups, both of which use external sensors to track where the user is in the physical room. Area sizes for Roomscale VR varies per hardware but is typically at a minimum of 5’x5’ to around 12’x12’ to a maximum of 30’x30’ with the Vive Pro sensors. We’ve found that a 10’x10’ room area works great for just about any Roomscale VR experience. Monoscopic vs. Stereoscopic – refers to how the virtual image is being rendered. Monoscopic only renders one image for both eyes, which means it is “flat” and lacks the appearance of depth. 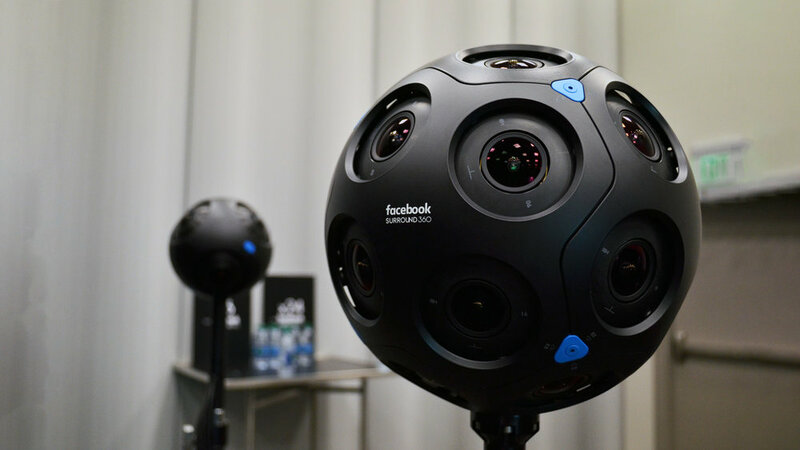 This is most commonly found in 360 video either due to the camera lacking the proper amount of lenses to shoot stereoscopic, or by choice to save on post production cost and/or to populate the 360 content on platforms other than VR headsets, like websites or social media. Stereoscopic renders two images, one slightly different for each eye. This allows the user to perceive depth. This is becoming more and more common in 360 video as the camera technology improves, and is the standard for Realtime and Roomscale VR. Passive (Non-Interactive) VR Experience – refers to any VR experience that doesn’t allow the user to interact with it in any way. You can think of these much like a ride. Once started, the experience happens without input needed by the user. This is most common for 360 videos, however there are 3D graphics experiences like this as well. Active (Interactive) VR Experiences – refers to any VR experience that allows the user to interact with it. This could include traversing the virtual environment, interacting with objects, completing tasks, or simply making any kind of user input while in the experience. This is most common for Realtime VR experiences however there are many Active VR Experiences for both 3 and 6 degrees of freedom headsets. Input Controls – refers to the input device(s) used to interact with the VR experience. The simpler VR headsets have just one method of input, either a touch screen on the side of the headset or handheld “clicker” type device that allows the user to point at virtual objects and “click” them. 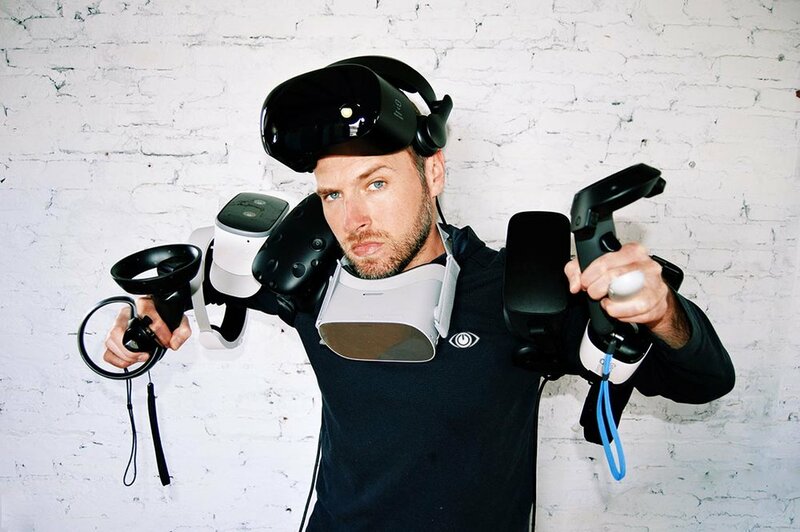 The more advanced VR headsets have full “touch” controllers for each hand that are also tracked in realtime, so the user sees their hands represented in the virtual world. This allows for high levels of interactivity that required 1:1 hand movements, for example picking up and moving virtual objects or firing a virtual bow and arrow. Stand Alone vs. Wired Headsets – refers to a headset needing to be connected to a computer via a cable or not. As the name implies, Stand Alone headsets have no cable connecting to a computer which allows for easier movement and range of motion. However, connecting to a computer is the best way to leverage fast processors and graphics cards whereas Stand Alone headsets have to pack all that hardware into the headset itself or stream from a computer which can introduce latency. Ultimately as the technology improves, we expect to see a huge leap forward in Stand Alone technology, but there will always be room on the bleeding edge for ultra-high end wired headsets that need every last bit of that computing power. Inside Out Tracking – refers to a new tracking method where the headset houses the tracking sensors as opposed to mounting the sensors externally on stands. The benefit of this is it makes the play area adaptable to any size as the headset will constantly be tracking your environment and can warn you if you’re about to run into something. Another benefit of this will be improved standalone headsets that don’t require much setup time. Ease of use, or “pick up and play” is the idea here. Now that you’re familiar with the different types of VR, it’s time to explore the different applications and uses for it. Read more.